Ahmedabad-based start-up Gridle, which is one stop shop for all communication needs of an enterprise, has recently raised $100,000 from a group of angel investors plans to utilise the funds to broaden its sales pipeline and scale up operations. It is also looking at doubling their team size and is looking to fill important team roles. Gridle, a CIIE & Hiraco Venture's portfolio company, has raised seed round of $100,000 from investors via LetsVenture (a platform that enables startups to raise angel and seed funds). This seed round was led by Jyotsna Bapat, from IIIT Bangalore. Other strategic angels involved in the round on LetsVenture were Gaurav Zutshi, experienced fin-tech executive; Rohit Jamwal, experienced professional in the banking industry; Rohit Kilam, experienced Tech executive and Sanjay Tekale, informed Yash Shah, co-founder and CEO of Gridle. "Their funding will be mainly utilised to broaden sales pipeline and scale up operations. Gridle is going to double the team size and is looking for passionate and experienced individuals to fill important roles," he said. The company was founded in 2014 by entrepreneurs, Yash Shah, co-founder & CEO, Anupama Panchal, co-founder & CTO and Abhishek Doshi, co-founder & Chief of Product who have known each other and worked together for 10 years. Gridle is basically a one stop shop for all communication needs of an enterprise. By unifying task management, file-sharing, instant messaging, audio-video conferencing and team management, Gridle brings together colleagues, content and context in just one place for companies. Gridle caters to companies with upto 500 employees and has helped improve team productivity by anything between 11-13 per cent. Shah says, "We, the founders, have known each other for 10 years and have worked on various projects together. When we took on a long running project, we were placed in difference cities and over a period of 5 months, we realised that we ended up spending more time juggling between collaboration tools like Skype, Dropbox, email, Trello etc, rather than getting any actual work done. This was when we started researching and interviewing professionals within organisations for signs of the same. The issue is that fast moving teams use a combination of different apps to share files, chat, video call, manage tasks etc and additionally they also spend a significant amount of time on emails, calendars and reminders. 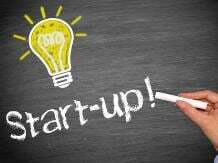 LetsVenture is an online platform for startups and investors to facilitate angel and seed investments. Founded by Shanti Mohan and Sanjay Jha in 2013, LetsVenture has created over 5,000 connections to date. Around 50 companies have raised funds on LetsVenture, aggregating to nearly $17 million. Gaurav Zutshi, Experienced Fin-tech executive, speaking about the fund raising, says, "I have invested in the team and the market opportunity Gridle solves. The collaboration problem within geographically distributed teams is huge especially for time starved people. Gridle, through its integrated console with text, voice, video and doc sharing features & task management streamlines working for teams. I have known founders for a long time and find them driven and committed. Look forward to working with them to extend value to larger customers"
Gridle faces indirect competition from tools like Trello, Asana, Basecamp, Todoist.